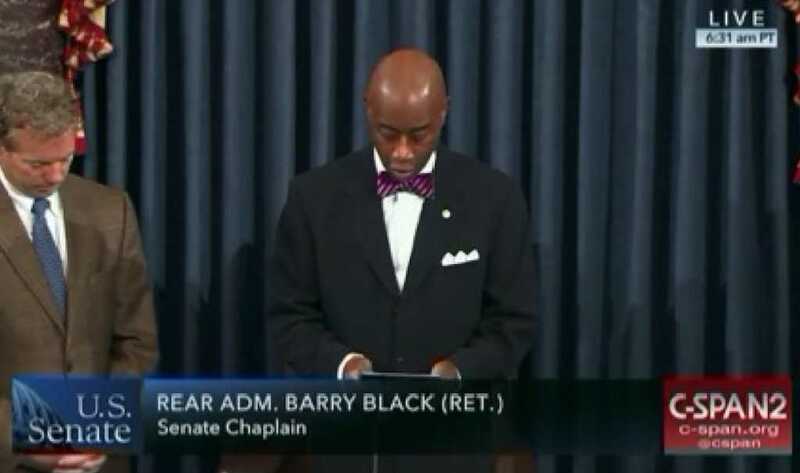 Senate Chaplain Barry Black — known for his stirring prayers and speeches — delivered a powerful invocation calling for more politicians who, without regard for consequences, are willing to call out sin for what it is. The prayer came just one day after Sen. Jeff Flake (R-Ariz.) announced that he won’t be running for re-election next year and took to the U.S. Senate floor to issue some strong rebukes of President Donald Trump and the current state of political affairs. “Reckless, outrageous and undignified behavior [has become excused as simply] ‘telling it like it is’ when it is actually just reckless, outrageous and undignified,” Flake said during the now-viral address.